Without a doubt, the number one question I am asked here on Preschoolers and Peace is, "How do I possibly keep my preschooler busy while I'm trying to get school done with the older kids?" I love this question, because it is the very reason the blog and site were created. Over the past six years, I've tried my best to give you as many ideas and resources as I possibly could, from activities that have worked in our home to suggestions from readers and friends. Now you can find the best of them all right here. Let's begin with a general How Do I Keep Them Busy? post. From crayons to clay to board books, 34 ideas to keep your little one occupied. And how exactly am I supposed to get anything done with all these little people underfoot? 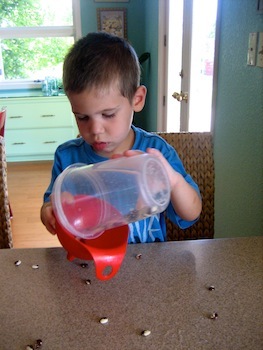 What does the day look like for a two-year-old in a homeschooling family? Because sometimes it feels like I'm just killing time. 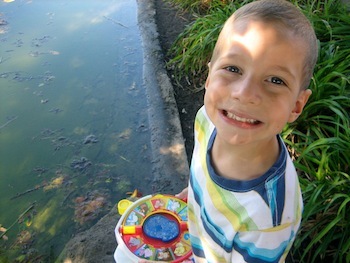 Have you thought about including your littlest one in some of your teaching time? We have always had some sort of group teaching hour, and little ones love to know they are a part of what the rest of the family is doing. Check out my e-book on creating your own group teaching time, or Circle Time. And how do I get a little one to sit still? There are some great resources out there, like Never Bored books and some of our favorite preschool apps. Planning preschool? 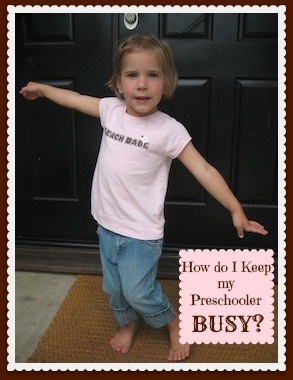 Here are some tried and true tips, as well as a Picture Book Preschool plan. Preschool boys in your home? We have five, and yes, there is a huge difference between the five boys and their three sisters. Sometimes you just need to be reminded of good time-fillers already at your fingertips. Some of you don't have older kids yet, and so those extra sets of hands just aren't available. What's a mom to do when they're all preschoolers? And what were some of the ways we coped when there weren't older kids to help? If you're wanting more resources, I have an MP3 of a conference workshop I've been doing for some years called Preschoolers, Preparation, and Peace. It's fun, full of ideas, and updated frequently. And of course, the Preschoolers and Peace eBook, chalk full of all of this site's best ideas and encouragement. You can do this!